Gyoza Field Trip Bento, a photo by sherimiya ♥ on Flickr. It's Tuesday and you know what that means -- field trip day for MisterMan! Today they went to the Lawrence Hall of Science to learn about dinosaurs and fossils and shark teeth. 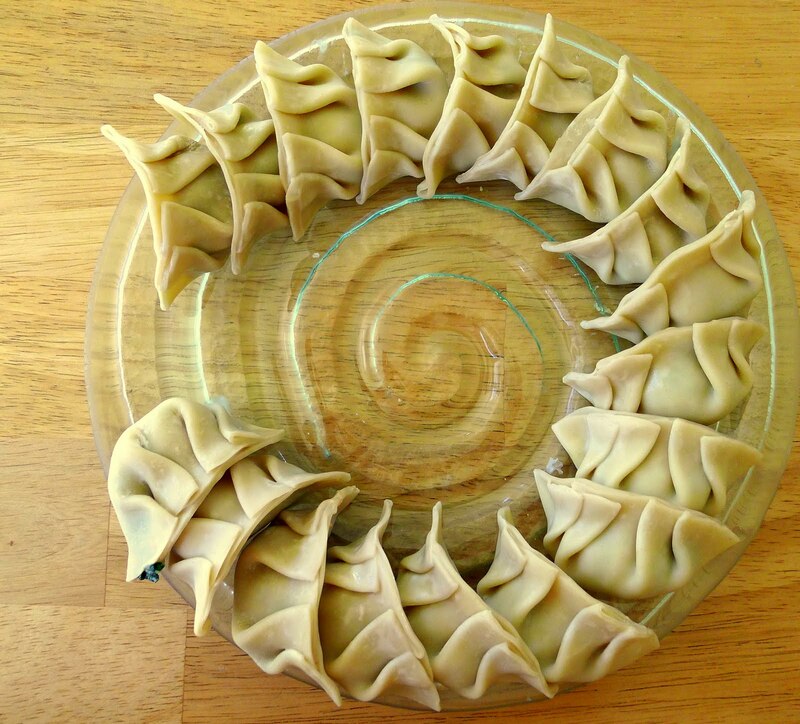 Last week we had wontons. 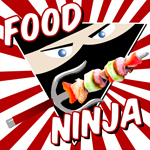 What's another good finger food that packs up neatly and easily, doesn't spill or get squashed, and tastes good at room temp? 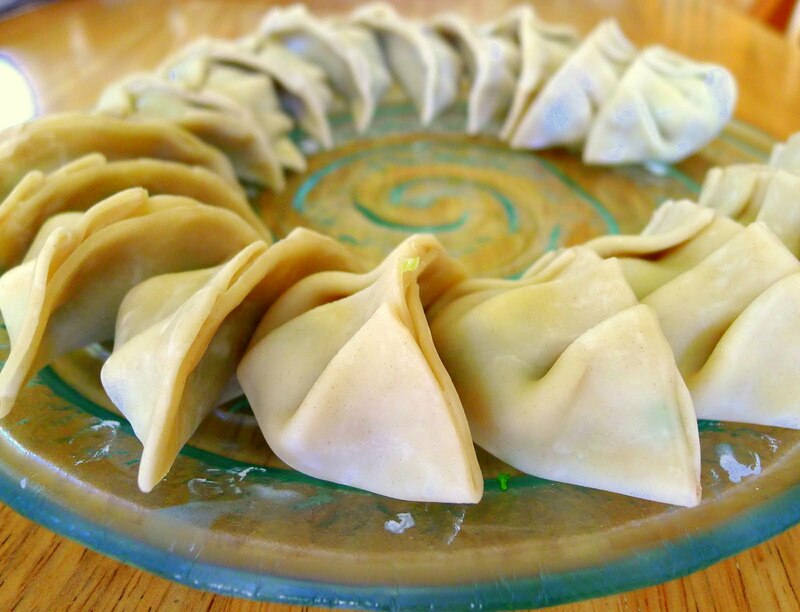 Gyoza! For these I used ground turkey, since that was what I had, but ground pork is traditionally used. I added a variety of other non-traditional ingredients too, like baby choy and soft tofu. I also added grated ginger, garlic, green onion, shoyu, and sesame oil to the mix. I only had medium thick skins, which are easier to work with (especially if you have kids helping you, since they don't tear as easily), but I like the thinner skins better. They make for a more delicate texture. I took some shots of my half-finished batch before cooking. Just for fun. To cook the gyoza, I pan-fried in a little oil over medium high heat to brown the bottoms, then added water and covered to steam-cook the rest of the way and get the tops soft. 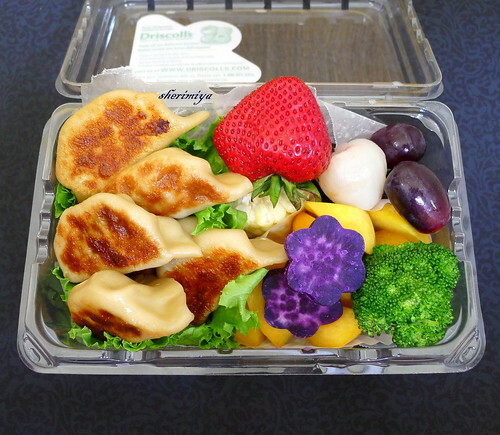 The rest of his bento includes the usual summer fare: corn on the cob (under the strawberry), grapes, lychee, steamed broccoli, Okinawan sweet potato flower shapes, and sliced Sweet Peach Pie donut peaches underneath. I didn't find this batch very sweet. Do you like donut peaches? Maybe it's just the harvest available in our area, but I haven't had any super sweet ones yet. I prefer the regular variety. I packed everything up in a lettuce leaf and wax paper, into a disposable strawberry basket container, and he was good to go! 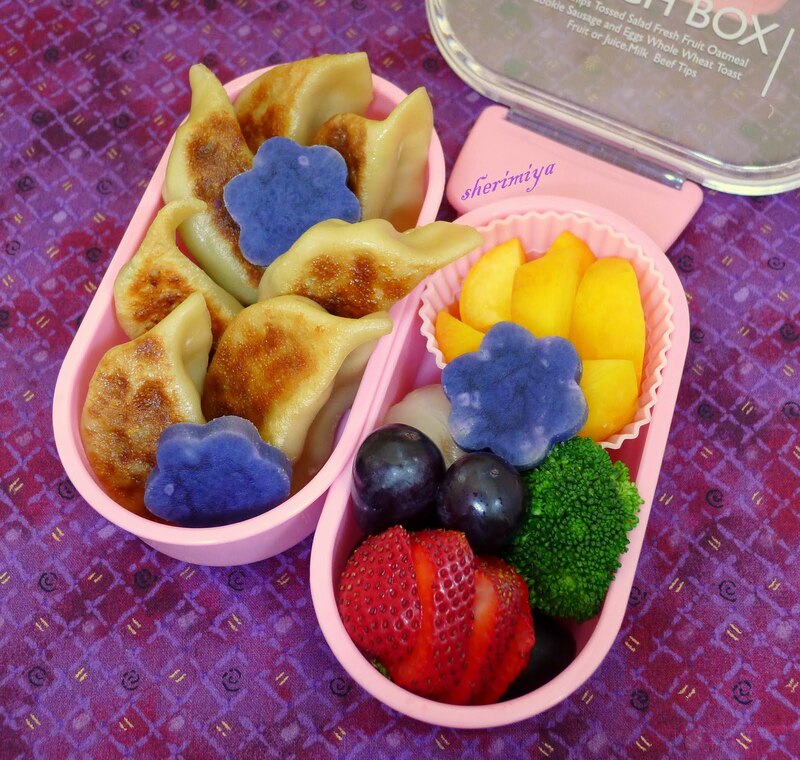 TinySprite got a similar, smaller, non-field-trip gyoza bento, which I packed in her two tier pink oval box. I love this box; it's lightweight, compact, easy to open and close, and just right for a smaller appetite. It used to have a removable divider in the top tier, but I lost it. However, it still works well for keeping the sweet in a separate section from the savory items. And it looks quite pretty too, I think. Happy Tuesday! Love that shot of the gyoza. Beautiful. I love your gyoza! They look perfect! The contrast of colors is wonderful. I need to get some more purple potatoes, lol! Thanks Heather! We totally eat OSP every day. Good thing my neighborhood market carries the baby ones that I like so I can stock up every few days.